Engineered to replace stock fuel hoses exactly, these new fuel hose kits are complete and ready-to-run. 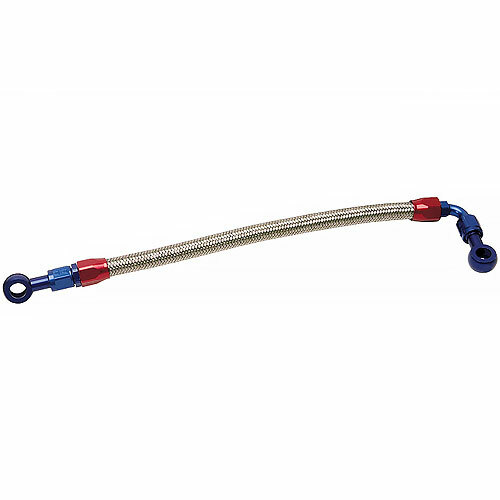 Built with Russell stainless steel braided hose and anodized aluminum hose ends, they easily connect the OE to the components for maximum reliability and a professional-looking installation. The stainless steel outer braid resists abrasion and corrosion and a CPE synthetic rubber liner is compatible with all hydrocarbon and alcohol-based fuels. Does Russell 641110 fit your vehicle?